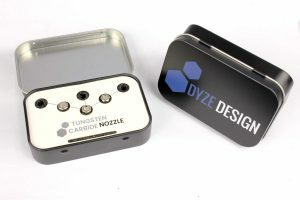 In March 2018, we launched a Kickstarter campaign because we wanted to validate the demand for a new type of nozzle that would not wear off, and that would offer both great durability and thermal conductivity. 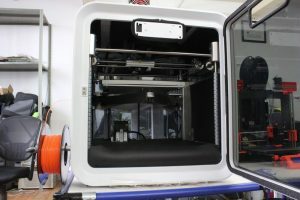 That’s how we came up with the Tungsten Carbide Nozzle: a state of the art 3d printer nozzle that offers good durability and performance for almost any printer, such as Ultimaker, Raise3d, Prusa, Makerbot, Robo, LulzBot, Flashforge, and many more. The Tungsten Carbide Nozzle is also compatible with aftermarket hotends like E3D Volcano, E3D V6, Olson Block, Hexagon, and DyzEnd. 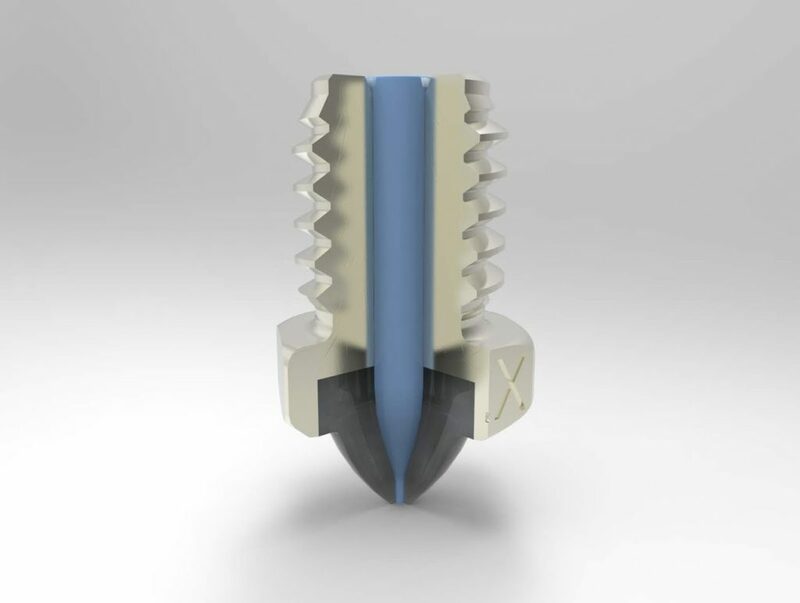 After a successful campaign, we produced the Tungsten Carbide Nozzle, and we are proud to announce today that the product is officially available on the market. Customers can buy them on our online store for $55. In the next few months, it should also start being available all around our reseller network. Why a tungsten carbide nozzle? 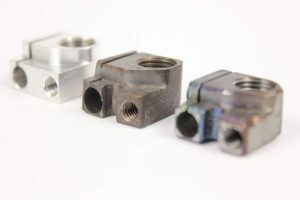 Your nozzle is the last and final step in your extrusion system, and maybe the most important part of your 3d printer. Plastic flows through the small orifice, thanks to the pressure generated by the extruder. This flow can reach a pressure as high as 250 times the atmospheric pressure (25 MPa). With plain plastic, most metals commonly used for nozzles can easily hold up against the flow. 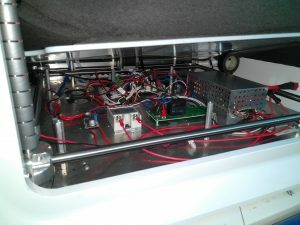 Unfortunately, once we start using plastic filaments with hard reinforcement fibers such as carbon and glass, things start to get more complicated. These reinforcement materials will scratch the inner wall of your nozzle orifice as they pass due to the flow and pressure. Both glass and carbon are known to be very hard, a lot harder than any metals, resulting in what is known as abrasion inside your nozzle. 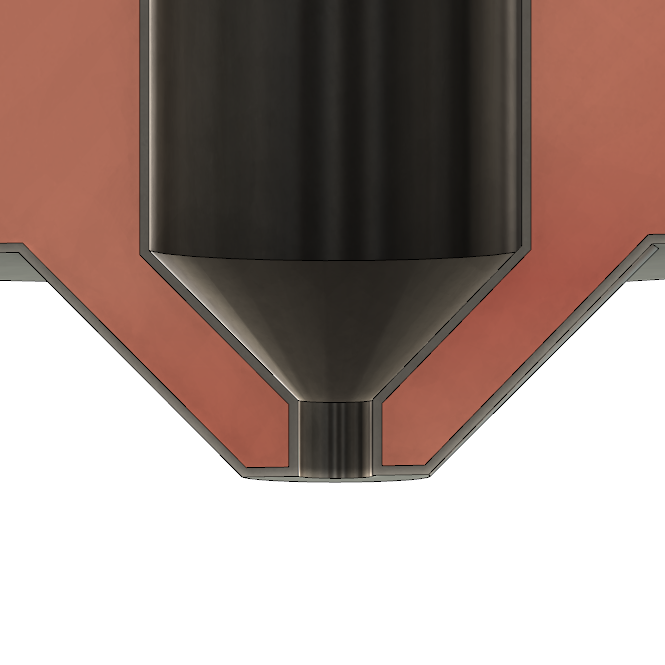 The high pressure built up inside your nozzle also means that surface finish and coating will eventually wear out, even if a coating has a higher hardness than the material printed. This is due to a phenomenon called abrasive wear. 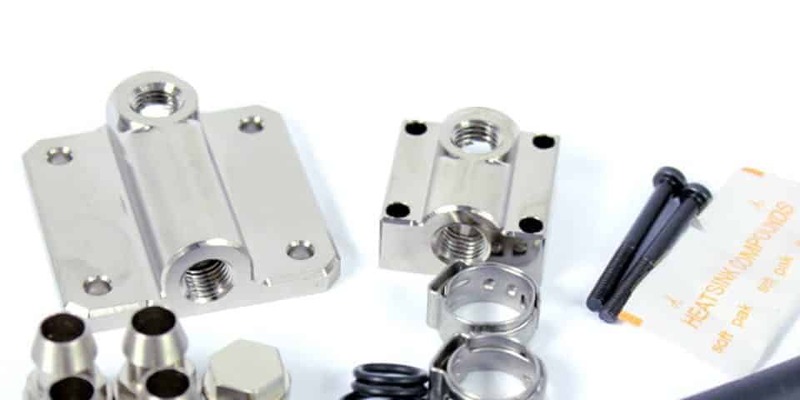 For this reason, it is best to avoid thin coating plating in nozzles. Once the coating disappears, the performance of your nozzle starts dropping. Fortunately, tungsten carbide is the cermet of choice when it comes to wearing and abrasion resistance. Don’t confound it with tungsten alloy, which is metal and not that good at wear resistance. For instance, tungsten carbide is commonly used for the fabrication of cutting tools for steel and tool steel. The mining industry also uses it extensively as a button insert for crushing rocks. Tungsten carbide is hard enough that both the nozzle hole size and height will always stay the same, regardless of how long you use the nozzle, and the abrasiveness of the material you use it with. You may have heard that “insert-type” nozzles may cause poor flow and extrusion losses. 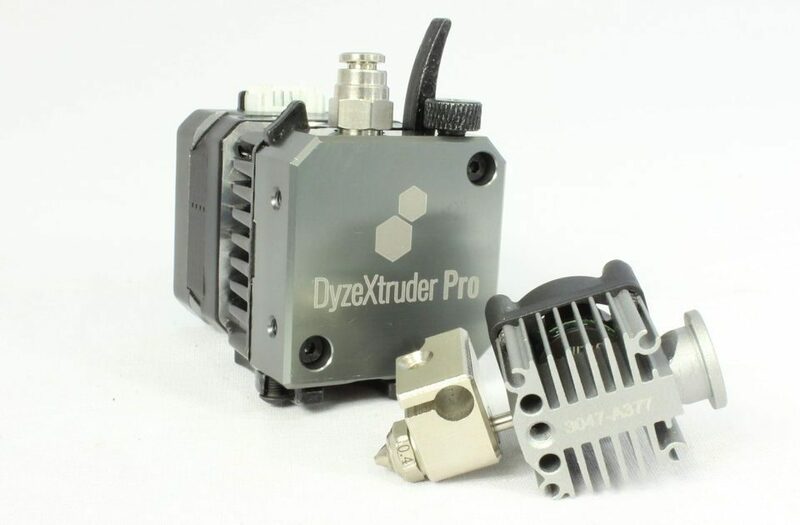 This may be true for other hotends, but our insert specifically designed to give you all the benefits of a single-piece type nozzle in terms of flow. The internal geometry is designed for flow optimization, even with a tip. 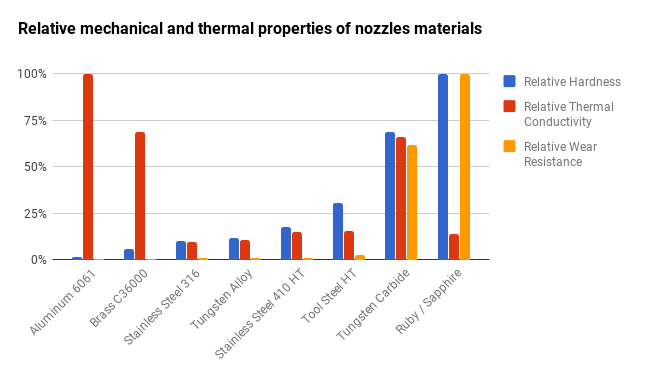 In fact, users will find out that the tungsten carbide nozzles lead to even better extrusion flow when compared to other “hardened nozzles”, whether they are made out of steel, corundum, or other hard materials. 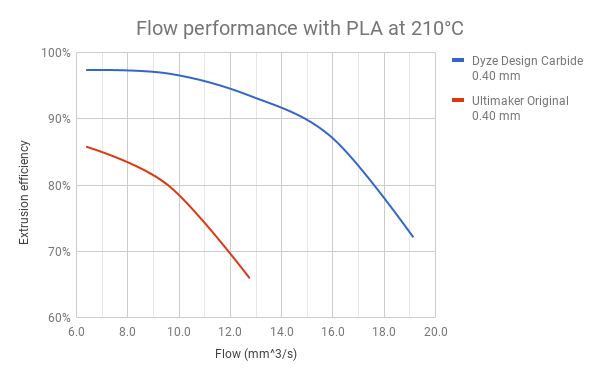 The reason behind this performance increase is due to the high thermal performance of the tungsten carbide, which keeps the nozzle tip hot, thus allowing faster printing speed without sacrificing the quality. The thermal conductivity ensures that heat is able to travel up to the tip of your nozzle, keeping your molten plastic at the right temperature. 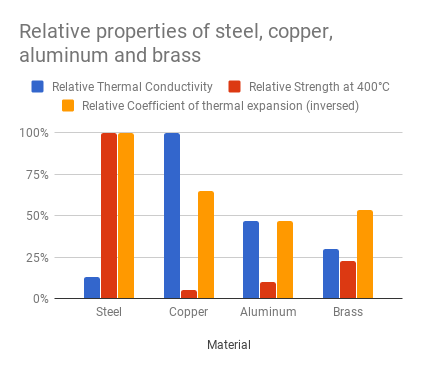 Having a bad heat conductor like tool steel or ruby may lead to a colder extrusion. Thus poor layer bonding, greater flow fluctuation and even jamming. Moreover, the whole nozzle has a nickel plated coating for enhanced slippery properties. Plastic will slide on the nozzle instead of sticking to it. This results in cleaner parts and less dragging problems. We ran some tests and compared our tungsten carbide nozzle to a brass nozzle from Ultimaker for reference. The tungsten carbide nozzle boasts increased output flow by around 80% while retaining the same print quality. Because of the way tungsten carbide is manufactured, we couldn’t make the whole nozzle out of tungsten carbide. We chose to use steel as the nozzle frame. It has all the properties required for a good nozzle body. 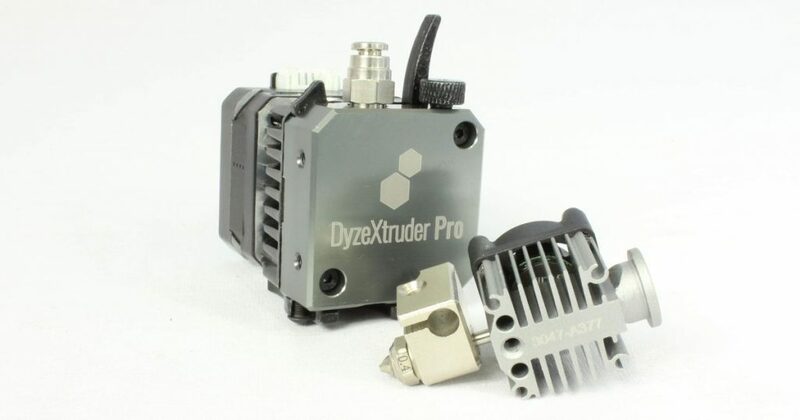 It has excellent mechanical properties at high temperatures.The nozzle will stay strong, no matter the pressure generated by the extruder. This is a very critical parameter as the assembly reliability depends on the mechanical joint between the tungsten carbide insert and the nozzle frame. 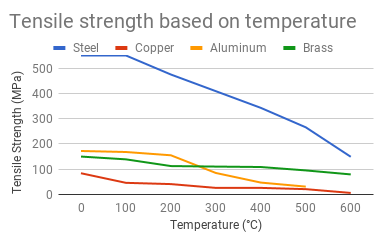 Not only is steel strong, but it’s also very thermally stable. It has the lowest coefficient of thermal expansion (CTE) from the standard materials used as nozzles. While tungsten carbide has a lower CTE, it is critical to opt for a similar value, as it reduces the gap created by the temperature increase. 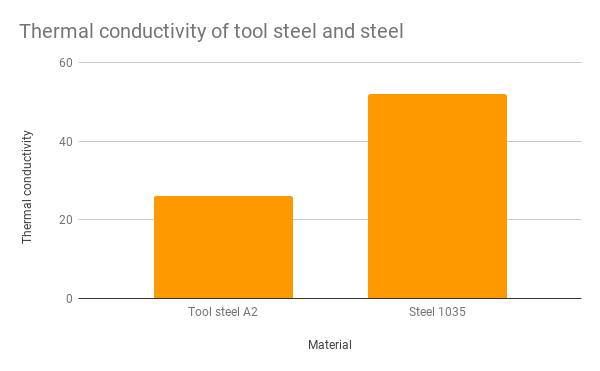 Steel’s thermal conductivity might seem low compared to the other common options, but it’s actually around 2 times higher than tool steel. 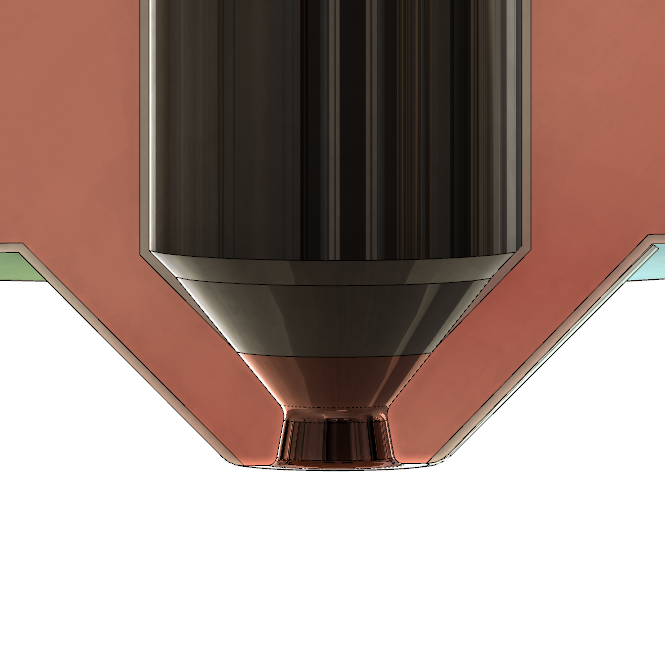 Also, the critical zone for thermal conductivity is the nozzle tip, where the section area is very low, and the convection cooling power is high. Fortunately, the tungsten carbide tip will provide the proper thermal conductivity, offsetting the steel disadvantage. The high hardness of tungsten carbide will provide a lifetime of carefree extrusion. The unequaled wear resistance will ensure both the nozzle diameter and flat will keep the same dimension, and so will your printed parts. Due to the high thermal performance of the nozzle, printing speed can be pushed even further without sacrificing the quality. 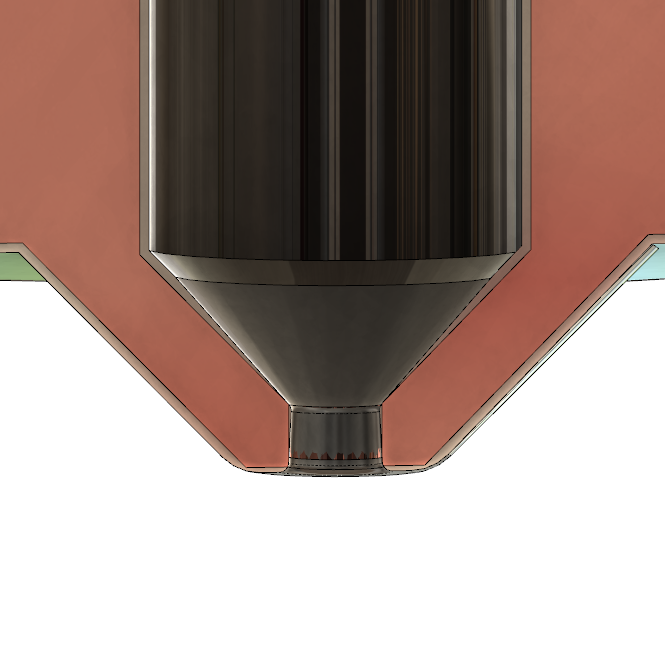 The special shape inside the nozzle allowed by the manufacturing technique to improve the flow where the diameter gets reduced, thus allowing a faster flow rate. The whole nozzle is nickel plated for enhanced slippery properties. Plastic will slide on the nozzle instead of sticking to it. This result is cleaner parts and less dragging problems. From printing PLA to carbon fiber reinforced plastics, this nozzle can handle anything. The low friction coating greatly helps with flexible filaments allowing them to slide throughout the nozzle. 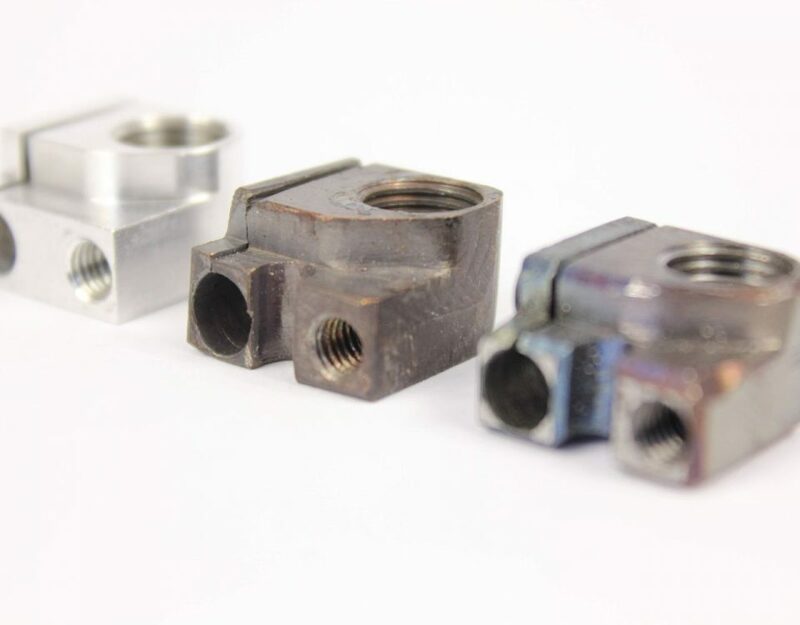 A single nozzle will offer quality prints, wear resistance and high flow. No need to get a ton of different nozzle when a single one can offer the best of all worlds. Tungsten carbide is easier to produce than corundum (Sapphire, Ruby, etc) and the performance is very similar. The use of steel makes it very easy to manufacture and offer amazing thermal performance. The whole package is a win-win situation in terms of performance and price. Simon is Chief Marketing Officer (CMO) at Dyze Design. He's also a world traveler and blogger. And passionate about homebrewing. Is it compatible with Creality Enter 3? Yes, it is! You’ll need model M6 1.75mm. Yes, it’s compatible. You need to pick model M6 1.75mm.